Our hotel's full-service accommodations are a great destination for business and leisure travelers alike. No matter what brings you to Boston, MA, our hotel's free high-speed Wi-Fi access keeps you connected. Start your day with breakfast and later, swim a few laps in the indoor pool. Be sure to check out the 24-hour Fitness Center. Grab a cool drink from our lounge; it's the perfect end to a day touring Boston or Brookline, MA. The charming brownstones and tree-lined streets of historic Brookline surround the Inn. Guests love our hotel's proximity to Fenway Park, where they can catch a Red Sox game. You'll find it easy to get to the shops and restaurants of Coolidge Corner, Beacon Hill and Faneuil Hall. Other top attractions include NE Aquarium, Boston College, Boston University, convention centers and Logan Airport. 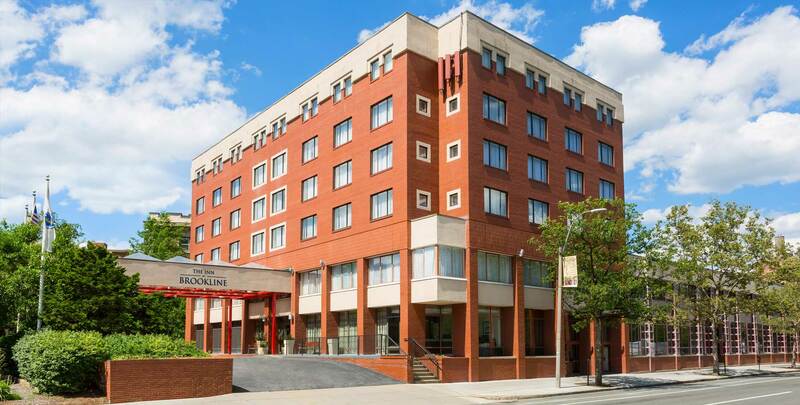 In addition, our hotel's location is ideal if medical business brings you to Boston.